How should advisors counsel their clients in light of these changes? 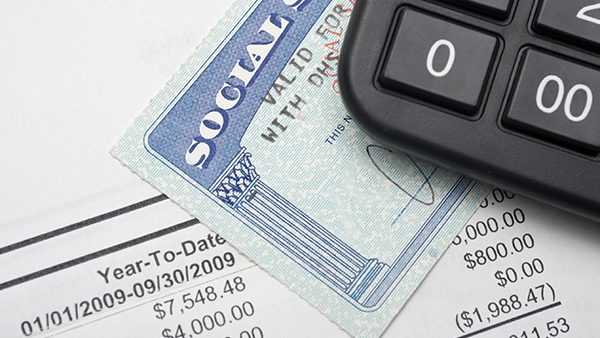 Two important Social Security strategies have just been eliminated and advisors need to be up to speed on the change and more importantly, what it means for clients. Congress recently passed a budget bill that included provisions to eliminate file and suspend and restricted application, which have been Social Security go-tos for many advisors, primarily for their married clients. “This change came completely out of left field. It was totally unexpected and I think you’d be hard-pressed to find an advisor who thought this was imminent,” said David B. Mendels, CFP, a New York-based advisor and director of planning at Creative Financial Concepts LLC. For 15 years, Mendels has also taught a retirement planning course for certified financial planners (CFP) at New York University and he stays abreast of rumors and changes that can affect later-life financial strategies. Though these were popular strategies, not all advisors were aware of the options. Mendels said that file and suspend was not in the CFP curriculum so he incorporated it into his teaching. In a nutshell, file and suspend allowed a spouse to claim a spousal benefit as long as the main beneficiary claimed benefits first. The catch was that when the main beneficiary filed for benefits, he or she could immediately suspend receipt of the benefits. This meant the other spouse could claim the spousal benefit while allowing the main beneficiary’s retirement benefit to continue to grow at the eight percent annual rate. If both of the parties reached full retirement age, it also provided for the spouse’s own benefit to increase because of the delayed retirement credits if he/she elected to receive only the free spousal benefits by filing a restricted application. If an individual is born on or after January 1, 1954, they will not be able to utilize either strategy. Those born between May 2, 1950 and January 1, 1954 will lose the file-and-suspend option but will remain eligible for the restricted benefit. Someone born on or before May 1, 1950, must request a suspended benefit by April 30, 2016 to enable a spouse to receive a spousal benefit while the main beneficiary is under a file and suspend. The frustration for advisors like Mendels is that in addition to the suddenness of the change, the so-called “closing of a loophole” doesn’t alter the larger problem, which is that the majority of people claim Social Security benefits early (64 percent of women and 56 percent of men claim prior to their full retirement age). Experts like Boston University professor Laurence Kotlikoff see a much more politically driven and darker consequence to the bipartisan, administration-backed revision. “No retiree will ever again be able to feel their Social Security benefits are safe from some backroom, midnight, rushed change in rules that is designed to meet some budget target or accommodate some politician’s whims,” Kotlikoff said. But how should advisors counsel their clients in light of these changes? If a spouse does not turn 66 years old by April 29, 2016, and the younger spouse is 62, there is no rush to make decisions. The couple probably should wait until the older spouse reaches age 70. From there, it depends on the spouses’ age spread, how long they want to wait and what the benefit will be. If both spouses are under age 62, then they are no longer eligible for either file and suspend or restricted application. Their maximum benefit likely will come by waiting until age 70. Mendels reminds advisors that divorce also plays into the changes. A divorced couple can still employ a restricted claim if they are age 62 this year and can even file reciprocally at full retirement age – which means that they could both collect. Mendels’ rule of thumb remains to go for the biggest benefit, which generally means waiting until age 70. If people can’t wait, then they shouldn’t retire. “With pensions, 401(k)s and savings, it’s better to be penny-wise than pound foolish,” he said.